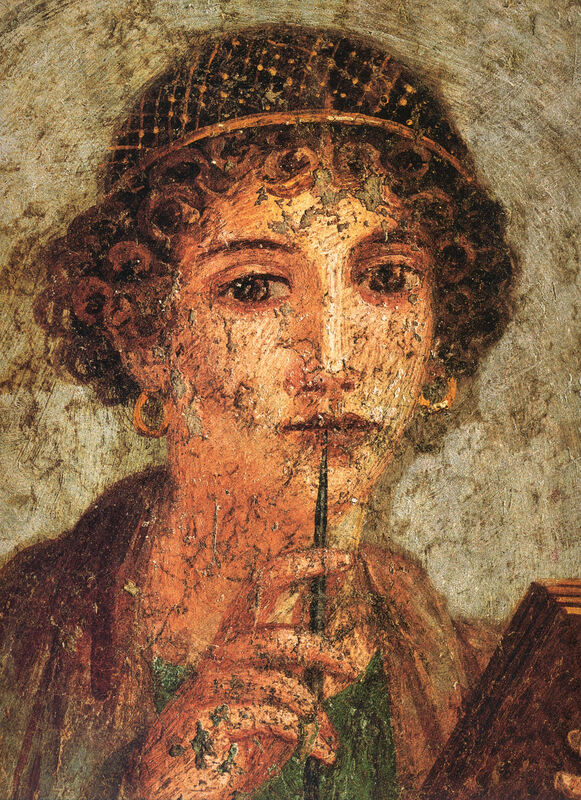 Sappho was widely renowned as one of the greatest lyric poets in Greek civilization. Although she wrote many poems, the "Hymn to Aphrodite" is the only full, extant poem that remains, and is an exemplar of her work and of Greek lyric poetry. The original Greek text of "Hymn to Aphrodite" with various translations. Translation of "Hymn to Aphrodite"
Elizabeth Vandiver's translation of "Hymn to Aphrodite"